A funeral was the spark of Judd Apatow’s big two-night, four-hour documentary on his comic mentor “The Zen Diaries of Garry Shandling” (HBO, 10 p.m.). And if Shandling was still around, he’d get the self-deprecating humor in that. After Shandling died suddenly at 66 a year ago of a blood clot, Apatow quickly put together a handful of documentaries for the memorial service. “One was about his spirituality. One was about his childhood. One was about ‘The Larry Sanders Show,’ ” Apatow told reporters at the TV Critics Association winter press tour earlier this year. Apatow worked with a wealth of materials – tapes from early comedy shows and his private life. But mostly there was a whole drawer full of diaries covering 30 years, in which Shandling showed how hard he worked at building his comedy, and how hard he worked at changing his own life too. In doing so, Apatow was returning a favor that began when as a young kid on Long Island, he used to contact comedians and pick their brain, lying that he was interviewing them for the school paper. 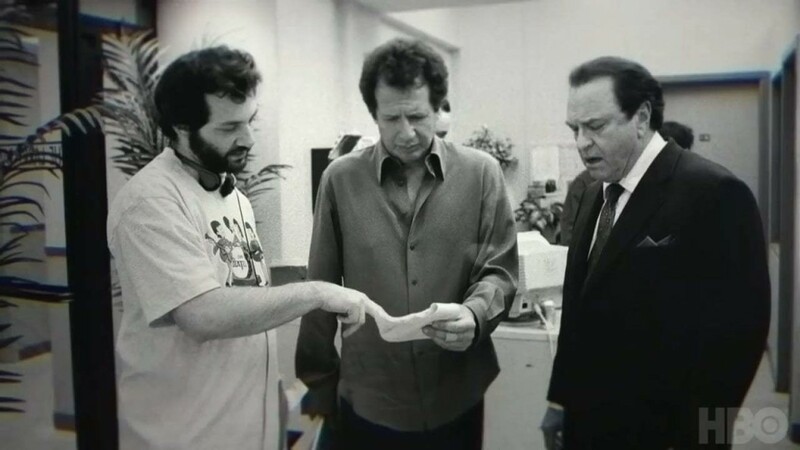 They met again nine years later when Apatow was a struggling comedy writer and Shandling hired him for material for his gig hosting the Grammys. They became close, in part because Apatow grew up in an atheist household and Shandling would talk about spirituality. “When I met Garry, he talked about Buddhism, and he gave me this book called ‘Transforming Problems into Happiness,’ written by a Buddhist monk. It was about how when bad things happen to you, you should rejoice, because it’s an opportunity to work on yourself and to find out where your blocks are. And I never heard that my entire life,” Apatow said. His description belies how funny the documentary is as well, simply because of Shandling’s ability to really hone material as well as infusing his performance with certain beliefs. “It really feels like he read ‘Zen in the Art of Archery,’ and he thought, ‘I can apply these ideas about letting go and just being myself to creativity and writing.’ In his journals, he basically says, ‘When you sit next to Johnny [on 'The Tonight Show'], just let go completely, and trust that when the time comes, you will think of the right joke,’” Apatow said. “The Zen Diaries of Garry Shandling” concludes on Tuesday on HBO.